Can’t find your keys? Have you looked everywhere, to no avail? Now you must be panicking, as you need to get on the road, but you have no idea how you will get into your car or start it. Do not fret. You have come to the right place for help. Our trained specialists will get a new key for your Mazda made ASAP – just as soon as you contact us. We know that different Mazda models have unique types of keys. For instance, you may have a key fob or a transponder key. 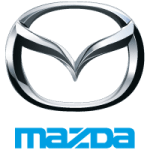 Our technicians can make a replacement key on site, no matter what model Mazda you own! The best part about the service offered by Door N Key Locksmith is that we are available all the time. Whether it is the middle of rush hour on a weekday, or 3AM on a holiday, you can bet that we have skilled technicians who are available. All you need to do is give us a call, tell us your location, and describe the make and model of your car. Someone will be over to your location within 20 to 25 minutes, and they will have all the necessary equipment in the van to get your replacement Mazda key made.